A current existing deal between international oil giant BP (ticker: BP) and SOCAR in the Azeri-Chirag-Guneshli (ACG) field is due to expire in 2024. A new plan will take SOCAR’s stake in the field to 20 percent from the current 11.6 percent while BP’s share is predicted to drop to 30 percent from the current 35.8 percent, according to a report by Reuters. BP will remain the project operator. Oil output in the ACG field has declined from 16 million tons a year ago to 14 million tons, which may have influenced BP’s decision to reduce its share. While BP is reducing its share in the ACG field, it is also setting its sights on India’s Krishna-Godavari Basin. 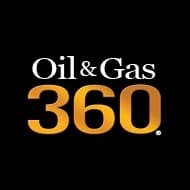 Recently Reliance and BP announced a $6 billion investment into gas projects located in the basin that is projected to increase gas production by approximately 50-55 million cubic meters per day. India currently produces about 80 million cubic meters per day, according to Bloomberg. The consumption of gas in India continues to increase while domestic output is decreasing. Before the deals were made with BP and Reliance, India’s Prime Minister Narendra Modi announced wide reforms including the freedom to price and market natural gas. This is expected to increase the fuel share for natural gas in India’s Energy mix from 6.5 percent to 15 percent by the year 2020. Can WTI Break Out Of The High $40s?